Publisher of the Tri-State Defender newspaper in Memphis and National Newpaper Publishers Association (NNPA) member, Bernal E. Smith II, died Sunday at his home. He was 45 years old. A family spokesperson issued a news release stating that Smith died at his home and was with family members when he was found. The Tri-State Defender has been covering the news and issues that are important to African-Americans in the Mid-South since 1951. Smith took over as publisher in 2010. According to Smith’s LinkedIn profile, he was a graduate of Rhodes College and Union University, and had held board positions with the Greater Memphis Chamber and 100 Black Men of Memphis. Smith served as NNPA Second Vice Chairman. He had previously served as a member of the NNPA Board of Directors. I am personally saddened by Bernal’s death,” said Dorothy Leavell, NNPA Chairman. “We were optimistic about the many contributions he would make to the Fourth Estate. He was young, energetic, and full of great ideas. We were looking forward to implementing some of those concepts through NNPA as we worked to strengthen and advance the Black Press. It’s a great loss to our institution and we will sorely miss him. 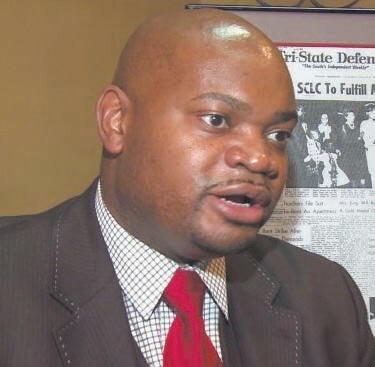 We send our deepest condolences to his family, Tri- State Defender staff, Black Media Properties, as well as the entire city of Memphis,” Leavell continued. Funeral arrangements were not complete at presstime.